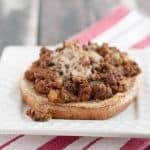 These Easy Open-Faced Pizza Sloppy Joes come together quickly and easily even on the busiest of nights! Make a double batch to keep some in the freezer for any time! This post originally appeared on my blog in September 2014. I’ve updated the photos and content a (tiny) bit but it still remains a family favorite! 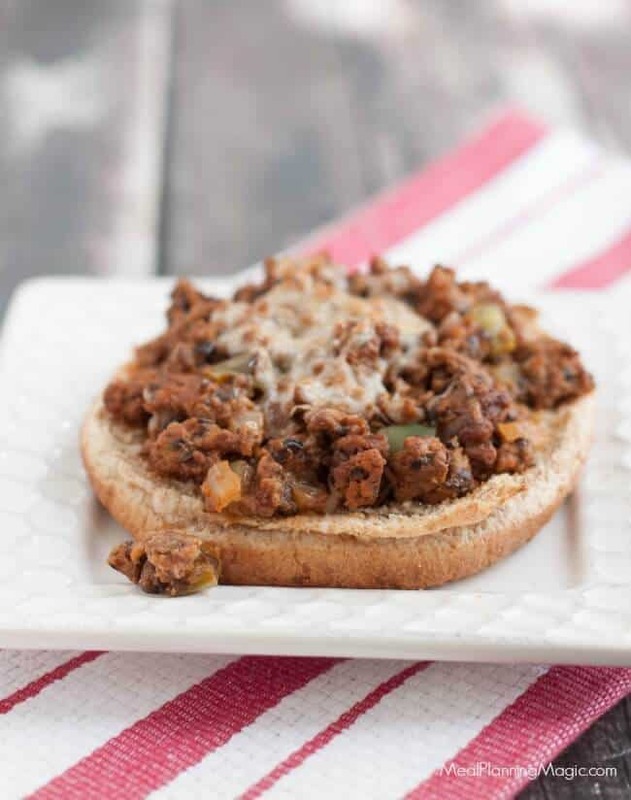 Click here to PIN this Simple Open-Face Pizza Sloppy Joes recipe! I’ve been making this Simple Open-Faced Pizza Sloppy Joes recipe for so long I can’t believe I’ve never shared it with you all! (well, I did share a sneak peek on my Instagram account last week that it would be coming to the blog soon!) It’s something a friend shared with us years ago when she was part of our Freezer Meal Exchange Group. It is SUPER easy to make up on a busy night and have dinner on the table in under 30 minutes. I like to make it in big batches, too, so that I can keep some in the freezer and pull them out to thaw, heat and eat on extra busy nights. Tip: freeze them in muffin cups then pop out and store your “cups” in a ziptop bag in the freezer so you can pull out just what you need to heat and eat! 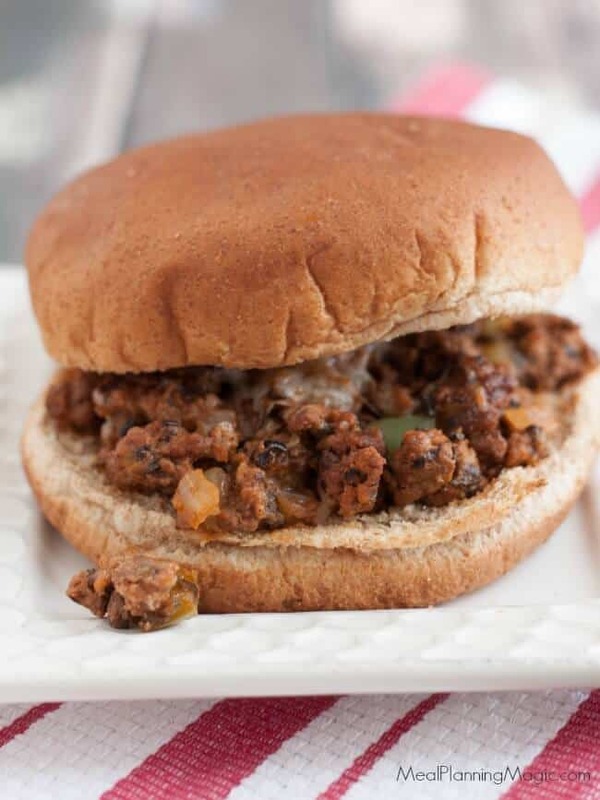 We like to eat these Easy Open-faced Pizza Sloppy Joes as an open-faced sandwich and serve with a side salad or just sliced fresh vegetables like carrots or cucumbers to make it a quick and easy dinner option but you can serve it like a more traditional sloppy joe sandwich with the top bun too. It’s also great to take as a lunch to be assembled right before eating. And with the flavors of pizza (that is, if you like pizza without pepperonis), it’s sure to become a quick family favorite too! You can add these Pizza Sloppy Joes to some of our other favorite pizza-inspired recipes like these Whole Wheat Pepperoni Pizza Bites or these Pizza Quesadillas. There’s not much else to say other than you need to give these a try right away! 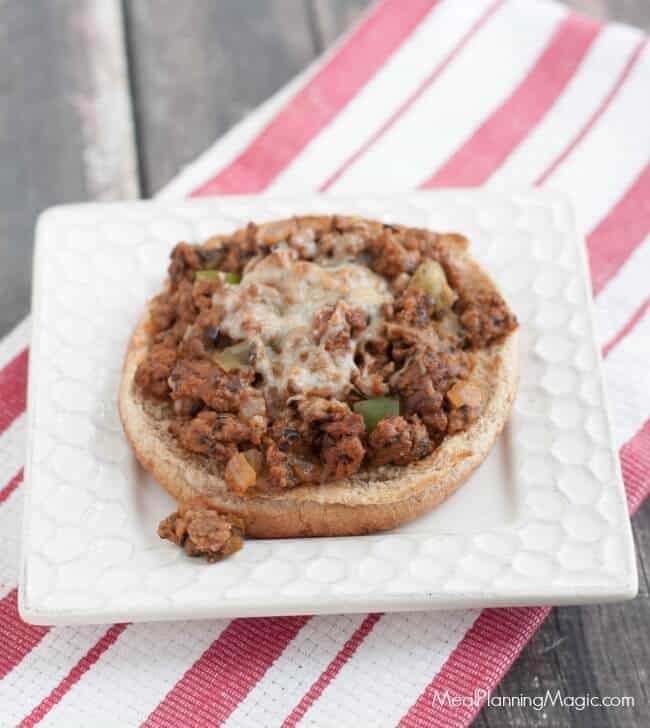 These Simple Open-Faced Pizza Sloppy Joes come together quickly and easily even on the busiest of nights! Make a double batch to keep some in the freezer for any time! 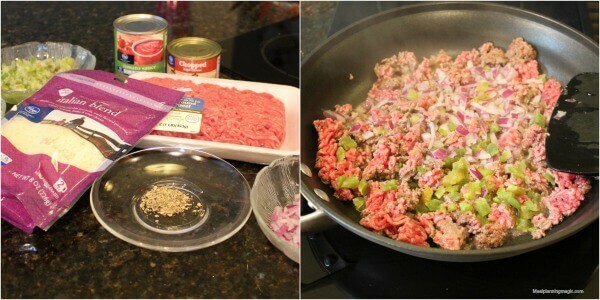 In sauté pan, brown hamburger until cooked through. Add tomato sauce, olives, onion, bell pepper, Italian herbs, salt and pepper and stir until well blended. Stir in shredded Italian cheese until melted. Once the mixture is all melted you are ready to spread on the hamburger buns and add mozzarella and then bake at 325 for 5-8 minutes. Turn to low broil to get the topping a little bit golden brown. We like to have these with carrot sticks, sliced cucumbers or a side salad. Have you signed up for my new newsletter yet? You can get a FREE downloadable printable to help you with your menu planning! CLICK HERE for more details. 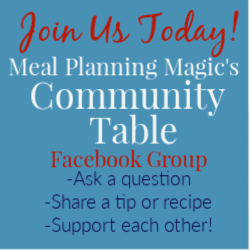 Don’t miss out on all kinds of updates from Meal Planning Magic! Be sure to SIGN UP HERE to receive updates via email or RSS feed (you can choose which you prefer or choose to receive both!) And don’t forget you can always follow me on Facebook, Twitter, Pinterest or Instagram. 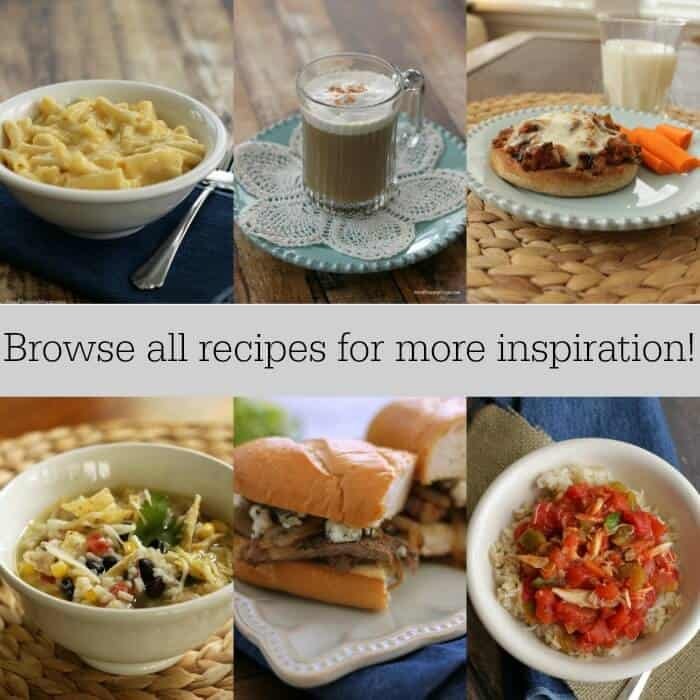 They all offer a little something different and are a great way to stay in the loop on new menu plans, recipe ideas, giveaways, organizing tips and more!